Rev. Kelly Hallock is the Assistant Minister and Rev. Tony Ponticello is the Executive Minister of Community Miracles Center. On March 12, 2017, they addressed the congregation gathered in San Francisco at the Sunday Gathering. What follows is a lightly edited version of their talks. Good morning! I am so excited. We have a lot of people here from Modesto. A couple of people were saying that it was hard to get up this morning and I was saying that too. Then I realized those from Modesto got up and drove two hours to get here. We are all in awe of you and that was amazing. We are glad to have you. I was debating about what I wanted to share today because it's the Community Miracles Center's 30th birthday. It is a little weird for me. Normally, I would think that people would talk about all that the CMC has done. Then I remembered I have only been here for a little over a year. My history here at the CMC is very, very short compared to the history of the organization, the meetings and everything that has happened here. So I decided to talk a little bit about goals. I was unsure initially, but it was one of those things that I just felt Spirit guided me to. I decided to go and look up in the Original Edition, there is a way to search it online, the phrase "the goal." What is "the goal" that we are going for? I know what goals I have for the CMC and I will talk about that later but what are "the goals" that A Course in Miracles talks about? It was interesting to research the phrase "the goal." The definitive form "the goal" only comes up a couple times in the Original Edition. Yet I really liked it when it did. I am going to share some of those with you and then relate them to us as the CMC goes into our next 30 years. So about "the goal," A Course in Miracles says, "The goal of the curriculum, regardless of the teacher you choose ..." (OrEd.Tx.8.20) This to me relates to when the Course says this is one version of the curriculum. It is kind of saying no matter what version you are going with or teach, "The goal of the curriculum ... is to know thyself." "Know thyself." (OrEd.Tx.8.20) I thought, "My gosh that is a very trendy psychological phrase that a lot of us have heard – ‘know thyself'." I questioned what does the Course say about "thyself?" What does it say we are? So what does that mean? How do I take "know thyself" and apply it to those concepts. "I am the Son of God." (OrEd.WkBk.114.2) "You are holy." (OrEd.WkBk.36.1) That is great to say. We all say we believe it, but how do we live it? The Course continues and says "Whenever you are with a brother, you are learning what you are. ... Never forget your responsibility to him because it is your responsibility to yourself. Give him his place in the Kingdom, and you will have yours." (OrEd.Tx.8.21) That is talking about looking at your brother, looking at your sister, and not judging them – not saying that they are bad, not saying they need to change. Looking at them. Looking at Marie. Looking at Shannon. Looking at Richard, Leslie and everybody here and saying "You are a holy son of God." And Rudy back there. Rudy is a holy son of God too. Here is where we start seeing that. There are a lot of religious traditions out there where they encourage spending a lot of time in solitude. I have been on meditation retreats for 10 days when we were not allowed to speak. We were not allowed to gesture. We were not allowed to wave. We weren't allowed to do anything at all to acknowledge the other person. The Course is saying "no" to that. How do you come to know yourself? You come to know yourself by seeing it in your brother. You come to knowing yourself by accepting what your brother is. The Course says "Let us not forget the goal that we accepted. It is more than just our happiness alone that we came to gain. What we accept as what we are proclaims what everyone must be along with us. ... Look lovingly on them that they may know that they are a part of you and you of them." (OrEd.WkBk.139.8-9) It continues on with the idea that it is about the relationships. It is about seeing your brother with love and there is also a responsibility to that. Some in the non-dualistic community will say that it is "Just me. I am just it. Everybody is one. I am just it so it doesn't matter." And yet, the Course is saying "yes," that is true. There is no separation. We are one – so look at your brother with love, extend love to your brother. If you say you are just going to enjoy yourself but don't give a rat's patootie who you hurt, you are actually hurting yourself. Then you are not looking at the oneness that is. The Course encourages us to look at "The new beginning." It says "...these steps lead you from dreams of judgment to forgiving dreams and out of pain and fear ... So now we need to practice them awhile, until they are rules by which you live. We seek to make them habits now ..." (OrEd.Tx.30.1). I think that is the call for us as a community. We need to practice them awhile. How do we practice them? In relationship with each other. We see the beauty in each other. We see the holiness in each other. We encourage each other to forgive one another, we support each other in our spiritual journeys. It says in this passage in the Circle of Atonement Edition, "... adopted consciously each time you wake." I have a meditation I listen to each morning. Part of it is a commitment this day to choose to listen to the Holy Spirit instead of the ego. That is part of the process of coming to know thyself and a part is gathering here together. It was a conscious decision for us to take this hour today and say, "I am choosing to spend some time in community and to be in relationship with others. I am going to spend time listening to what Spirit has to say to me so that I can forgive and I can love." I don't know how that is going to fully look for CMC going forward, but I think that is where we need to go. Look at developing relationships. Look at how we can support each other in our spiritual path. I have said before I love to meditate. I may be resuming the meditation class pretty soon. Come join in events like that. Come join the Monday class. You will find like-minded peeps in our Monday class, our Wednesday class, or Thursday, or whenever. Join people from this community who want to support you in your journey of learning forgiveness. Maybe you will go on a fellowship event with us. Maybe you hang out for cake afterwards today. I think we are going to do lunch after that. That is where we have to focus as a community to grow. Numerically our community will grow exponentially, once we grow exponentially internally. The healing comes from within ourselves. As we see it in our brothers who are here, then we can extend it outside of here. Rev. Kelly Hallock is CMC's 89th minister. She currently serves as the CMC's Asistant Minister (10.28.2018). She is also the Treasurer of the CMC Board of Directors. She was ordained by the CMC on Sep. 13, 2015. The occasion of the birthday of the Community Miracles Center – thinking about it I found that I was pretty speechless. I didn't really know what to say. The energy was just that of gratitude. I am grateful. 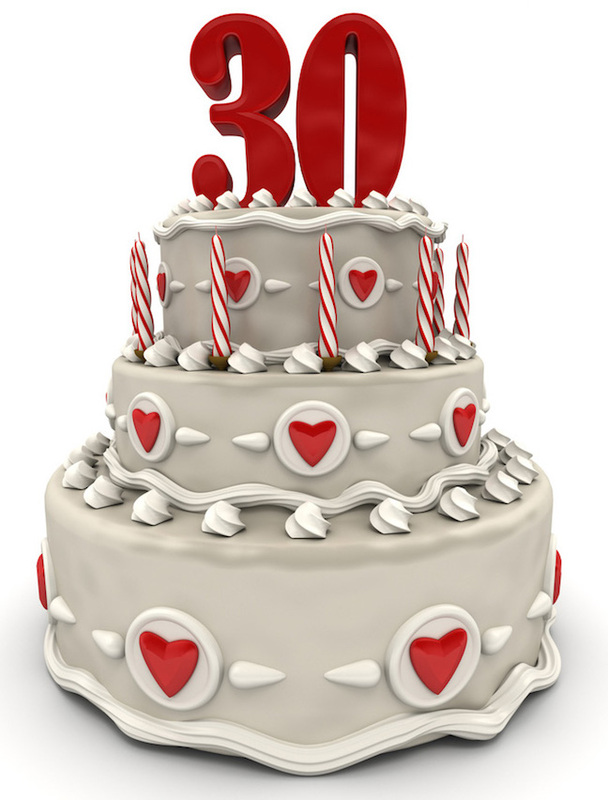 I am just so grateful for 30 years, three decades. For three decades I have had the same amazing job. As the reading said, "I seek a future different from the past." (OrEd.Wkbk.314) I don't want to focus too much on the past because that will make the future like the past. I want a future different then the past. I don't know where the CMC is going. What I feel in my heart is for sure that it is not going away. It is here and it is solid. We seem in the large world of the A Course in Miracles community to have a greater and greater presence and a greater and greater voice. How will that look in the future? I am not really sure, and I don't want to be sure. I want to be open-minded because it will look in a way that I can't conceptualize. It will look grander and more glorious than I can conceptualize. So, I just want to release that. I seek a future different than the past. I don't think I really could do a 30th without focusing on a few things. We have been producing our journal, Miracles Monthly. It used to be just called the Community Miracles Center Newsletter, for 30 years. Every year we produce a bound volume and those are here. Those are 29 years of Miracles Monthly. (Rev. Tony points to 29 bound volumes piled on the nearby bench. Volume 30 was still at the binders) We have three archival sets of these. This is just for your information. One exists in my home, one exists at the CMC office, one exists at our storage space on Bush Street in San Francisco. I am really, really proud of this accomplishment. We have produced a printed on paper magazine, journal, for over three decades. Actually, I did this for two years in the predecessor organization, and I brought those bound volumes here too. We have been doing this – I have been doing this – for 32 years actually. It is an amazing thing. Monday morning, tomorrow morning I will pick up bound volume 30. It is right now at the little print shop where they are binding it. I got the call that it is ready. I didn't have it for today. However I have enough there for you to look at. We will have another one, and we will send them to our Supporting Members who are our "Angels" and above. The bound volumes are just a wonderful archive. I thought that 30th birthday would not be complete unless I had some acknowledgement of our co-founder Rev. Larry Bedini. This is the Miracles Monthly from April, 2010. It has a little article and pictures of him when he made his transition. Rev. Larry and I formed Community Miracles Center out of the ashes of another A Course in Miracles organization that I was involved with. We opened our doors to a Sunday Service on March 1, 1987. So, that is why we celebrate our 30th birthday in March. I had already been doing Sunday services with the other organization, but on March 1,1987, with Rev. Larry as a partner, we opened up as Community Miracles Center. So, that is what we are celebrating. I know that Rev. Larry would be really pleased. I know he is really pleased. I know he is here with us. Larry we are still here. We did it! Thanks for all your help from the other side. I thought that it might be interesting. I am going to have these (the Miracles Monthly bound volumes) up here. We will have the cake up here also. This is the issue from February, 1995. It is when we ordained Rev. Linda. There is a picture of Rev. Linda and Rev. Jan who she was ordained with. I haven't heard from Jan in years – February, 1995. (Rev. Linda is in the audience.) This one cracks me up, you have to come up and take a look at this after. This was from Nov. 1995. That is Rev. Rudy and Rev. Brad when we ordained them in Nov. 1995 – so cute. (Rev. Rudy is in the audience.) One more to look at. This is from October 1997 and here is Rev. Dusa Althea Rammessirsingh when we ordained her in October, 1997. (Rev. Dusa Althea is in the audience.) That is why these Miracles Monthly are so great, because they have a record of all that. I always remember Lesson 333. You know Lesson 333? If you know 666 is the sign of the devil, think of 333 as the sign of the Holy Spirit. "Forgiveness ends the dream of conflict here." (OrEd.WkBk.33) Listen here. This lesson is so important. "Conflict must be resolved. It cannot be evaded, set aside, denied, disguised, seen somewhere else, called by another name, nor hidden by deceit of any kind if it would be escaped. It must be seen exactly as it is, where it is thought to be, in the reality which has been given it, and with the purpose that the mind accorded it. For only then are its defenses lifted and the truth can shine upon it as it disappears." (OrEd.WkBk.333.1) You can't evade the conflict! You can't be so conflict adverse that you don't let the conflict come up. You've got to allow the conflict to come up so that you can resolve it. That is the only way. If I have learned anything with 30 years being the Executive Minister here I have learned this. You can't avoid the conflict. You have to let it come up. The other thing – and one of the last things I wanted to talk about – I have been guided this year and I have talked about it – to really embrace that second quotation that we read, "Swear not to die, you holy Son of God!" "Swear not to die, you holy Son of God! "(OrEd.Tx.29.39) So hear this – I am not going to die! There, I just swore it. I am not going to die! Swear not to die. I am not going to interpret this passage so that it means something else. I am just going to sit with those amazing challenging words. I am going to do what it says which is state I am not going to die. So think about that and take that on. Don't just go "That means my body will go and my soul will live on." Yada, yada, yada. That is a bunch of crap. If it wanted to say that it would have said that. It just says swear not to die. This is the year that I am going to take those words and let them wash over me before I interpret them away to have them mean something else. Last thing – we have always been small in number and we are a small gathering here today. We do have more people joining us on ACIM Gather and that is really good. Some people think about why. The whole A Course in Miracles community is moving in a certain direction and it is like a big ocean liner moving along. This is a Buckminster Fuller thing which I have always embraced. Buckminster Fuller was a visionary, motivational author, speaker I believe in the 1950s through the 1970s. He said when an ocean liner is moving through the ocean and it is being steered by a rudder. It is very hard to move the rudder. The rudder is in line with the movement of the ocean liner, and there is a lot of momentum and so it is difficult to change the direction of an ocean liner. But in the rudder there is a gear. The gear is called the trimtab and you can move the trimtab without that much force and without that much energy. Moving the trimtab just takes a certain amount of focus and an understanding of what you are doing. The CMC has never been the rudder of the A Course in Miracles community but we have been the trimtab. We have been that little gear that helps move the rudder and steers the "ocean liner" which for this metaphor is the A Course in Miracles community. That just takes the few, really dedicated individuals that we have. So for all of you that are gathered here today, for those of you that are listening on ACIM Gather, or who may watch it on YouTube later, join us in spirit and in body in whatever way you can, because for 30 years CMC has been the trimtab, the little gear that is moving the big rudder of the A Course in Miracles community that is healing the world. Rev. Tony Ponticello is CMC's 20th minister. He currently serves as the CMC's Executive Minister (10.28.2018). He is also the President of the CMC Board of Directors. He was ordained by the CMC on Oct. 17, 1997.